Shaker Masri is a convicted Islamic extremist and attempted foreign fighter for al-Shabab. He planned to join the Somali-based terror group in August 2010, but was arrested in Chicago prior to his departure.“Chicago Man Arrested For Attempting To Provide Material Support To A Terrorist Organization,” U.S. Department of Justice, August 4, 2010, https://www.investigativeproject.org/documents/case_docs/3263.pdf. In July 2012, he pled guilty to attempting to provide material support and planning to travel abroad to fight for a designated foreign terrorist organization.“Chicago Man Pleads Guilty to Planning Travel to Somalia to Join al Shabaab Terrorist Organization in Jihad Combat,” Federal Bureau of Investigation, July 30, 2012, https://archives.fbi.gov/archives/chicago/press-releases/2012/chicago-man-pleads-guilty-to-planning-travel-to-somalia-to-join-al-shabaab-terrorist-organization-in-jihad-combat. On December 11, he was sentenced to nine years and 10 months in federal prison.“Chicago Man Sentenced to Nearly 10 Years in Prison for Planning Travel to Somalia to Join al Shabaab in Jihad Combat,” Federal Bureau of Investigation, December 11, 2012, https://archives.fbi.gov/archives/chicago/press-releases/2012/chicago-man-sentenced-to-nearly-10-years-in-prison-for-planning-travel-to-somalia-to-join-al-shabaab-in-jihad-combat. In August 2017, Masri was released early from prison and moved into a halfway house in Chicago, where he will be on supervised released for the following 20 years. He claims to now reject jihadist ideology.Nicole Hong, “Are Terrorists Ready for Life After Prison?” Wall Street Journal, April 25, 2018, https://www.wsj.com/articles/u-s-struggles-to-prepare-convicted-terrorists-for-life-after-prison-1524648602. Masri was born in Alabama to Syrian immigrants. He then grew up in Nigeria, where he had a comfortable and financially stable childhood. In 2001, Masri moved to Chicago to attend university, but never graduated.Nicole Hong, “Are Terrorists Ready for Life After Prison?” Wall Street Journal, April 25, 2018, https://www.wsj.com/articles/u-s-struggles-to-prepare-convicted-terrorists-for-life-after-prison-1524648602. 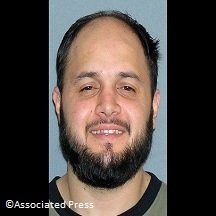 According to authorities, Masri started to radicalize in early 2009, espousing increasingly violent views and openly expressing his desire to engage in “jihad” and fight against “infidels.”“Chicago Man Arrested For Attempting To Provide Material Support To A Terrorist Organization,” U.S. Department of Justice, August 4, 2010, https://www.investigativeproject.org/documents/case_docs/3263.pdf. He watched martyrdom videos and read online lectures of now-deceased American-born al-Qaeda in the Arabian Peninsula (AQAP) cleric Anwar al-Awlaki.“United States of America v. Shaker Masri – Criminal Complaint,” United States District Court, Northern District Of Illinois, Eastern Division, August 3, 2010, https://www.investigativeproject.org/documents/case_docs/1353.pdf. Over several conversations in July 2010, Masri told a friend—who secretly cooperated with the FBI—that he intended to travel to Somalia and join al-Shabab and participate in a suicide mission. Masri was determined, but lacked the necessary financial resources to travel to the conflict zone. The FBI’s cooperating source offered to use his money on the condition that he be allowed to join Masri. The two often met to discuss their proposed travel, including prospective routes, dates, costs, ways to conceal their departure, and the weapons they would need to acquire in Somalia. Rather than traveling directly to the region, Masri suggested that both men fly from Chicago to Los Angeles, and cross the U.S. border into Mexico. From there, they could transit through another Central or South American country before leaving for East Africa. They eventually booked a flight from Chicago to Los Angeles departing on August 4, 2010.“Chicago Man Sentenced to Nearly 10 Years in Prison for Planning Travel to Somalia to Join al Shabaab in Jihad Combat,” Federal Bureau of Investigation, December 11, 2012, https://archives.fbi.gov/archives/chicago/press-releases/2012/chicago-man-sentenced-to-nearly-10-years-in-prison-for-planning-travel-to-somalia-to-join-al-shabaab-in-jihad-combat. On August 3, 2010, Masri was arrested by the FBI Joint Terrorism Task Force in Chicago and charged with attempting to provide material support to a designated foreign terrorist organization and attempting to provide material support through the use of a weapon of mass destruction. The latter charge was issued due to his intent to volunteer for a suicide mission, as he would offer himself as a weapon of mass destruction.“Chicago Man Arrested For Attempting To Provide Material Support To A Terrorist Organization,” U.S. Department of Justice, August 4, 2010, https://www.investigativeproject.org/documents/case_docs/3263.pdf; “United States of America v. Shaker Masir – Government’s Sentencing Memorandum,” United States District Court, Northern District Of Illinois, Eastern Division, November 29, 2012, https://www.investigativeproject.org/documents/case_docs/2080.pdf. He pled guilty to all charges.“Chicago Man Pleads Guilty to Planning Travel to Somalia to Join al Shabaab Terrorist Organization in Jihad Combat,” Federal Bureau of Investigation, July 30, 2012, https://archives.fbi.gov/archives/chicago/press-releases/2012/chicago-man-pleads-guilty-to-planning-travel-to-somalia-to-join-al-shabaab-terrorist-organization-in-jihad-combat. On December 11, 2012, he was sentenced to nine years and 10 months in federal prison with supervised release for 20 years after his incarceration.“Chicago Man Sentenced to Nearly 10 Years in Prison for Planning Travel to Somalia to Join al Shabaab in Jihad Combat,” Federal Bureau of Investigation, December 11, 2012, https://archives.fbi.gov/archives/chicago/press-releases/2012/chicago-man-sentenced-to-nearly-10-years-in-prison-for-planning-travel-to-somalia-to-join-al-shabaab-in-jihad-combat. In August 2017, Masri was released from prison, moved into a halfway house in Chicago, and began working in online sales. In a 2018 interview in the Wall Street Journal, Masri claims to now reject jihadist ideology.Nicole Hong, “Are Terrorists Ready for Life After Prison?” Wall Street Journal, April 25, 2018, https://www.wsj.com/articles/u-s-struggles-to-prepare-convicted-terrorists-for-life-after-prison-1524648602. Shaker Masri is a convicted Islamic extremist and attempted foreign fighter for al-Shabab.